A one-page immigration document dated April 23 ordered the forfeiture of the nun’s missionary visa that was due to expire Sept. 5. Sister Fox’s alien certificate of registration is also deactivated. Immigration officials have accused Sister Fox, who has worked in rural communities for 27 years, of being an “undesirable alien” for joining protest rallies and visiting political prisoners. 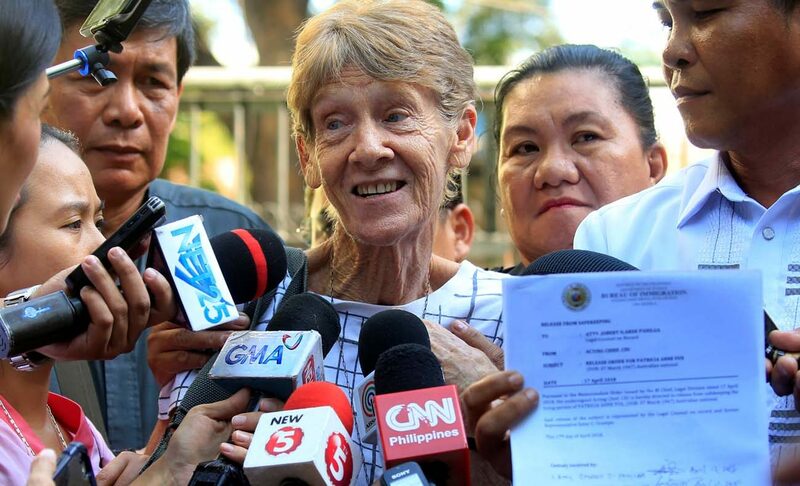 Immigration spokeswoman Antonette Mangrobang said Sister Fox could still enter and leave the country as a tourist. She also clarified that the decision to revoke the missionary visa was not part of any deportation proceedings. “(The visa forfeiture) does not mean that she is blacklisted or deported. … The nun can still apply for another visa or re-enter the country using a tourist permit,” Mangrobang told ucanews.com. Sister Fox, superior of the Sisters of Our Lady of Sion, said she was surprised by the bureau’s decision. She said she heard the news via the media because her lawyer had not yet received a copy of the decision. She told ucanews.com that she and her lawyer would file a motion for reconsideration to challenge the immigration bureau’s decision. “I was not given a chance to answer the accusations against me,” she said. Good Shepherd Sister Elenita Belardo, national coordinator of the Rural Missionaries of the Philippines, said the Philippine government seems not to understand what it is to be a missionary. “We are followers of Christ and the mission of Christ is our mission, that is to bring the Good News to the poor, free prisoners, defend the voiceless, and fight injustice,” said Sister Belardo. Retired Bishop Deogracias Iniguez of Kalookan, a member of the Ecumenical Bishops’ Forum, called on the faithful to press the government to reverse the immigration bureau’s decision. “It is high time for all Christians with a heart for the poor to come out and stand for what is just and right,” he said.